Here’s a quick review I did a few years ago during a blind tasting of some very heavy hitting malts. At the time, I had no idea what I was tasting but it hit all the right notes for me to know that 1.) This was right up my alley and 2.) This was some old stuff. As it turned out, I was right. Knockdhu distillery doesn’t get the credit it deserves for the anCnoc line. This is consistently good whisky at affordable prices from the 12 year old expression all the way through the older releases. This is a review of anCnoc 1975, a 39 year old whisky bottled in 2014. Despite my guess that there was ex-bourbon cask influence here, this whisky is comprised of just three refill sherry casks (both Spanish and American oak). 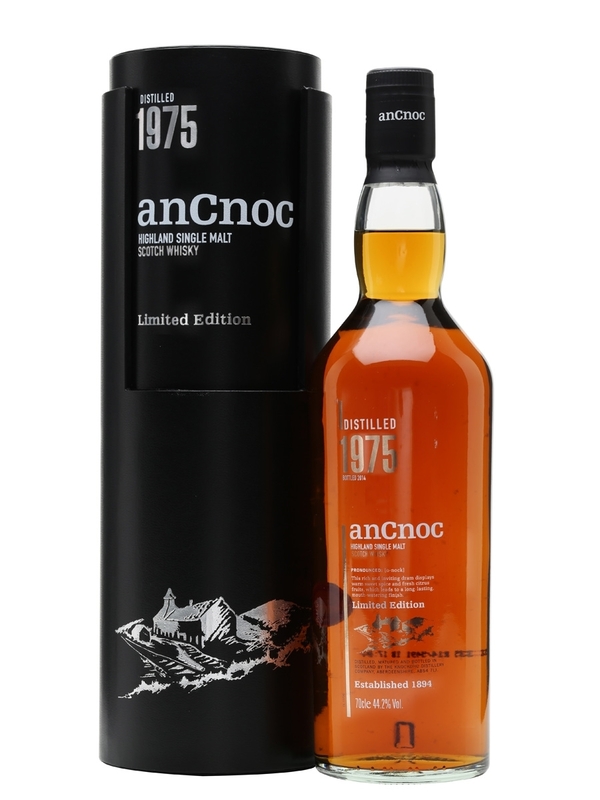 anCnoc 1975 was bottled without chill filtration or additional coloring (like it needed it) and as you’ll soon see, those 39 years did some tremendous things to this whisky. Overall Thoughts My kind of whisky, dark, dank, and old.